The critics’ favourite all week was blown away by another dose of social reality from veteran British left-wing film-maker Ken Loach. Ten years after his triumph with “The Wind that Shakes the Barley”, he became part of an elite club of just nine film directors (including the Dardenne brothers, Michael Haneke and Francis Ford Coppola) who have come away twice with the Palme d’Or – arguably the most important cinematic prize in the world. Even though there were no Irish films in competition, Irish cinematographer and Dún Laoghaire graduate Robbie Ryan was the man with the golden lens behind two major prize-winners – Loach’s aforementioned film and the Anglo-American Jury Prize-winning film “American Honey”. It was also a double delight for 27-year-old Canadian wunderkind Xavier Dolan. 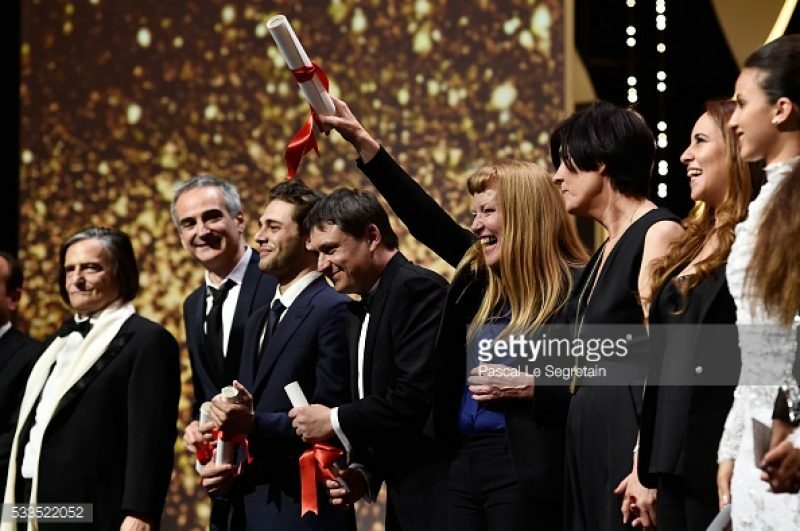 His film “Juste la fin du Monde” (It’s Only the End of the World) was awarded the Grand Prix du Jury, adding to his 2014 Jury prize for “Mommy”. The veteran French actor Jean-Pierre LEAUD, received an honorary Palme d’Or for his lifetime of work in film.